In Advance of Paris Climate Talks, Washington Court Recognizes Constitutional and Public Trust Rights and Announces Agency’s Legal Duty to Protect Atmosphere for Present and Future Generations. Seattle, Washington – Late last night, King County Superior Court Judge Hollis R. Hill issued a groundbreaking ruling in the unprecedented case of eight youth petitioners who requested that the Washington Department of Ecology write a carbon emissions rule that protects the atmosphere for their generation and those to come. The court validated the youths’ claims that the “scientific evidence is clear that the current rates of reduction mandated by Washington law. . . cannot ensure the survival of an environment in which [youth] can grow to adulthood safely.” The judge determined that the State has a “mandatory duty” to “preserve, protect, and enhance the air quality for the current and future generations,” and found the state’s current standards to fail that standard dramatically for several reasons. The youth petitioners first requested the state initiate greenhouse gas rule making procedures in June 2014. The state refused to do so in August of the same year. 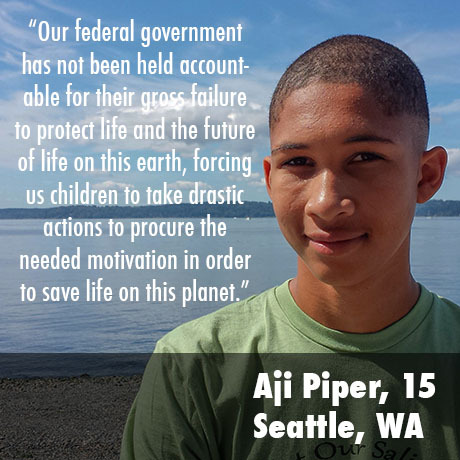 The youth appealed that refusal last September, and in a June 2015 decision highlighting the urgency of the climate crisis, the judge ordered the state to reconsider the youth’s petition taking into account current climate science. Then, in July 2015, the youth plaintiffs met with Gov. Inslee to plead their case personally. Just 11 days later, Gov. Inslee ordered the Department of Ecology to institute greenhouse gas rule making, as the youth had requested for more than a year. In August 2015, Ecology again refused the youths’ request for a science-based rule making because they had initiated similar rule making at Gov. Inslee’s request. Because Ecology also rejected the youths’ constitutional and public trust rights, the case, resulting in this decision, was argued in front of Judge Hollis Hill on November 3, 2015. This case is one of several similar state and international cases, all supported by Our Children’s Trust, seeking the legal right to a healthy atmosphere and stable climate. Cases brought by youth to protect the atmosphere are pending before trial judges in North Carolina, Pennsylvania, and Colorado, and before appellate courts in Massachusetts and Oregon. Matt Remle (Lakota – center) with Aji Piper (5th left to right). At climate justice rally at Seattle Federal building. 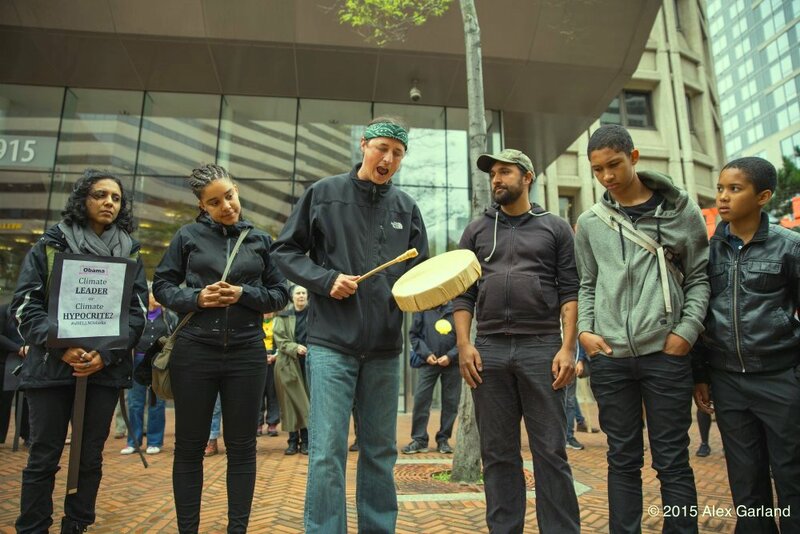 This entry was posted in Youth Education, Youth Leadership and tagged Aji Piper, climate change, climate justice, Dept of Ecology, Last Real Indians, LRInspire, matt remle, Washington State by lrinspire. Bookmark the permalink.